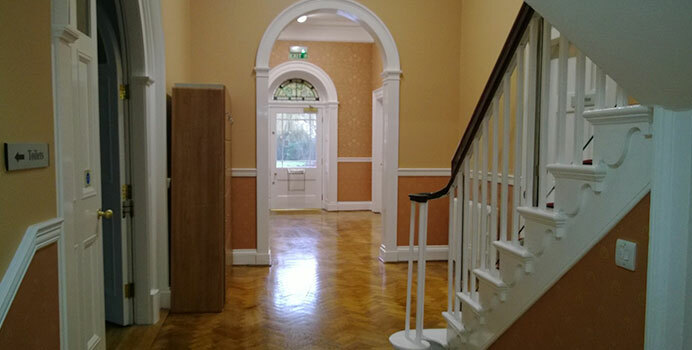 Prestec have completed a successful handover of Phase one of the £250,000 fast-track refurbishment at Eggington Hall, near Derby. The works comprised of the refurbishment of the premises to form a Special Needs School for Acorn Care & Education Limited. The project was due to be carried out in phases and the first phase was completed on 24th March 2015, in time for the clients Ofsted inspection. Acorn Care & Education Ltd were extremely pleased to receive a clean bill of health from the inspection and subsequently released a second phase of the works to Prestec UK, with an immediate start. Phase two will continue with the refurbishment of further rooms, including the music room, art room, science classroom, catering classroom and the toilets. Further alterations will include, decoration, new flooring, electrical and heating upgrades, new fire and security alarms and secondary glazing will be completed.